In the 17th century there was scarcely a household that did not possess something made from pewter: bowls, plates, spoons, candlesticks, toys, etc. were some of the everyday objects made from this alloy of tin. 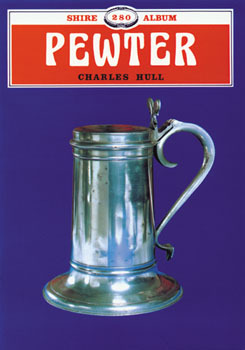 This book traces the history of pewter manufacture in Britain, describing the alloys used, methods of working pewter, and the objects produced. It also gives reference to the craft in other countries and provides important advice for collectors. Superbly illustrated with clear black and white photos of beautiful examples, this informative book will both educate and captivate every reader.